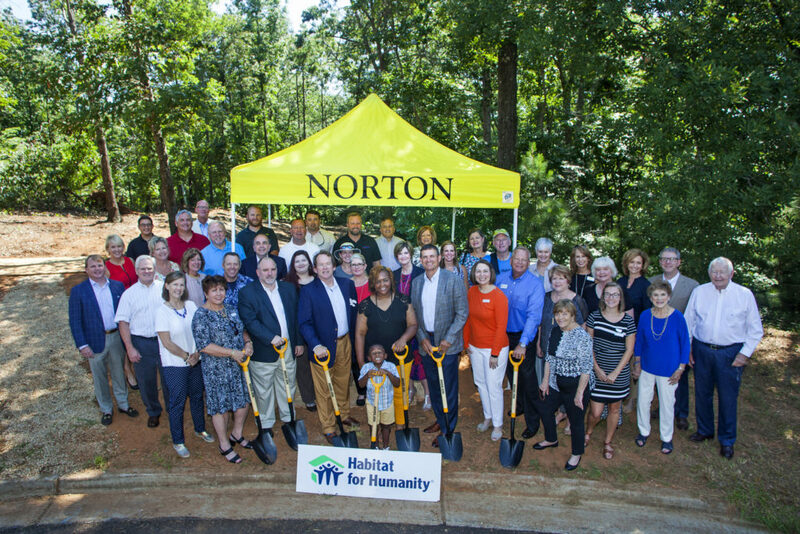 Gainesville-Hall County, Georgia – The Norton Agency, headquartered in Gainesville, Georgia, is pleased to announce the sponsorship of a home for Habitat for Humanity of Hall County in celebration of the company’s 90th Anniversary. Founded in 1928, and now with 300 employees and 19 offices across three states, The Norton Agency is North Georgia’s largest, oldest and most successful real estate and insurance company and takes pride in giving back to the communities they serve. This Habitat for Humanity project is funded and will be built by Norton team members. Norton is familiar with the issue of affordable housing in Hall County and is honored to help a neighbor achieve the dream of homeownership. “The Norton Agency and its family has been honored for 90 years to provide “shelter and security” to the North Georgia community,” said Bob Norton, President & CEO of Norton Agency Insurance and third generation company owner. “We believe home ownership is one of the foundations of our great country. We wanted to provide the gift of a home in recognition of the success this country has allowed us for these 90 years. A Ground Breaking Ceremony was held at the home site on Tuesday, July 10 to celebrate the company’s 90th Anniversary, as well, the 90th Birthday of Frank Norton, Sr., son of company founder W.L. Norton, and Norton Agency Chairman of the Board Emeritus. Company founder, W.L. Norton grew up in rural Rabun County and was one of the first graduates of North Georgia Technical School, now Rabun Gap Nacoochee School. Following service in World War I, Norton became a banker and relocated his family to Gainesville in the late 1920’s. He formed The Norton Agency in 1928 in the Jackson Building on the Downtown Gainesville Square. In 1937, Norton began the first planned residential neighborhood development in the community. Purchasing the plantation land of Confederate General William Longstreet from his widow and offering FHA financing, he and two partners developed Longstreet Hills. The first lots sold for $300 to $400 each. The neighborhood continues to be one of Gainesville’s most desirable residential communities. W.L.’s son Frank joined the firm in 1952 extending the company’s reach into Home Lending, Commercial Brokerage, Commercial Insurance and Asset Management and Development. Frank’s wife Betty joined the company in 1968 and built the region’s largest residential sales force in a 22-county reach. In the 1980’s Frank and Betty’s sons, Bob and Frank, Jr., took over operations of the Insurance and Real Estate Divisions. The Norton Agency provides strong customer service with a broad spectrum of services, ranging from insurance to mortgages to property management to commercial development to residential real estate sales. Since 1989, Habitat Hall has built 51 new homes and completed 10 rehabilitations. The Norton Agency home will be the 63rd Habitat home and the 11th home in Copper Glen, a dedicated Habitat subdivision off Candler Highway. The home sponsored by The Norton Agency will house the Yolonda Graham family and is located at 3782 Tall Pine Way, Gainesville Ga 30507 – Copper Glenn Subdivision Habitat for Humanity of Hall County is a nonprofit Christian organization who partners with low income families to build simple, decent, and affordable housing. 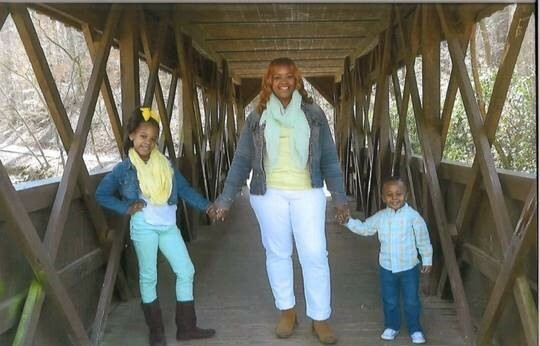 Habitat offers low income families a path to homeownership through partnership. Habitat offers affordable, zero percent mortgages to qualified applicants. Habitat is support by community partners, corporate sponsors and volunteer labor.